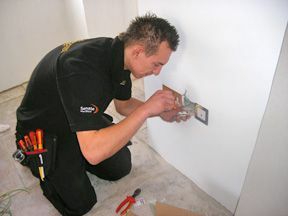 Our experienced and qualified Electricians are always well mannered, and clean working in uniform with sign written, clean vans. We are members of Dorset Trading Standards Buy with Confidence Scheme. All staff are CRB checked.